"Stolen Children" redirects here. For the film, see The Stolen Children. The Stolen Generations (also known as Stolen Children) were the children of Australian Aboriginal and Torres Strait Islander descent who were removed from their families by the Australian Federal and State government agencies and church missions, under acts of their respective parliaments. The removals of those referred to as "half-caste" children were conducted in the period between approximately 1905 and 1967, although in some places mixed-race children were still being taken into the 1970s. Numerous 19th- and early 20th-century contemporaneous documents indicate that the policy of removing mixed-race Aboriginal children from their mothers related to an assumption that the Aborigines were dying off. Given their catastrophic population decline after white contact, whites assumed that the full-blood tribal Aboriginal population would be unable to sustain itself, and was doomed to extinction. The idea expressed by A. O. Neville, the Chief Protector of Aborigines for Western Australia, and others as late as 1930 was that mixed-race children could be trained to work in white society, and over generations would marry white and be assimilated into the society. Some European Australians considered any proliferation of mixed-descent children (labelled "half-castes", "crossbreeds", "quadroons", and "octoroons",:231, 308 terms now considered derogatory to indigenous Australians) to be a threat to the stability of the prevailing culture, or to a perceived racial or cultural "heritage". :160 The Northern Territory Chief Protector of Aborigines, Dr. Cecil Cook, argued that "everything necessary [must be done] to convert the half-caste into a white citizen". In the Northern Territory, the segregation of Indigenous Australians of mixed descent from "full-blood" indigenous people began with the government removing children of mixed descent from their communities and placing them in church-run missions, and later creating segregated reserves and compounds to hold all Indigenous Australians. This was a response to public concern over the increase in the number of mixed-descent children and sexual exploitation of young Aboriginal women by non-Indigenous men, as well as fears among non-indigenous people of being outnumbered by a mixed-descent population. Under the Northern Territory Aboriginals Act of 1906, The Chief Protector of Aborigines was appointed the "legal guardian of every Aboriginal and every half-caste child up to the age of 18 years", thus providing the legal basis for enforcing segregation. After the Commonwealth took control of the Territory, under the 1918 Aborigines Ordinance, the Chief Protector was given total control of all Indigenous women regardless of their age, unless married to a man who was "substantially of European origin", and his approval was required for any marriage of an indigenous woman to a non-indigenous man. The Victorian Aboriginal Protection Act 1869 included the earliest legislation to authorise child removal from Aboriginal parents. The Central Board for the Protection of Aborigines had been advocating such powers since 1860. Passage of the Act gave the colony of Victoria a wide suite of powers over Aboriginal and "half-caste" persons, including the forcible removal of children, especially "at risk" girls. Through the late 19th and early 20th century, similar policies and legislation were adopted by other states and territories, such as the Aboriginals Protection and Restriction of the Sale of Opium Act 1897 (Qld), the Aborigines Ordinance 1918 (NT), the Aborigines Act 1934 (SA), and the 1936 Native Administration Act (WA). As a result of such legislation, states arranged widespread removal of (primarily) mixed-race children from their Aboriginal mothers. In addition, appointed Aboriginal protectors in each state exercised wide-ranging guardianship powers over Aborigines up to the age of 16 or 21, often determining where they could live or work. Policemen or other agents of the state (some designated as "Aboriginal Protection Officers") were given the power to locate and transfer babies and children of mixed descent from their mothers, families, and communities into institutions for care. In these Australian states and territories, institutions (both government and missionary) for half-caste children were established in the early decades of the 20th century to care and educate the mixed-race children taken from their families. Examples of such institutions include Moore River Native Settlement in Western Australia, Doomadgee Aboriginal Mission in Queensland, Ebenezer Mission in Victoria, and Wellington Valley Mission in New South Wales, as well as Catholic missions such as Beagle Bay and Garden Point. In certain regions and in certain periods the figure was undoubtedly much greater than one in ten. In that time not one Indigenous family has escaped the effects of forcible removal (confirmed by representatives of the Queensland and WA [Western Australia] Governments in evidence to the Inquiry). Most families have been affected, in one or more generations, by the forcible removal of one or more children. The report closely examined the distinctions between "forcible removal", "removal under threat or duress", "official deception", "uninformed voluntary release", and "voluntary release". The evidence indicated that in numerous cases, children were brutally and forcibly removed from their parent or parents, possibly even from the hospital shortly after birth, when identified as mixed-race babies. Aboriginal Protection Officers often made the judgement to remove certain children. In some cases, families were required to sign legal documents to relinquish care to the state. In Western Australia, the Aborigines Act 1905 removed the legal guardianship of Aboriginal parents. It made all their children legal wards of the state, so the government did not require parental permission to relocate the mixed-race children to institutions. In 1915, in New South Wales, the Aborigines Protection Amending Act 1915 gave the Aborigines' Protection Board authority to remove Aboriginal children "without having to establish in court that they were neglected." At the time, some members of Parliament objected to the NSW amendment; one member stated it enabled the Board to "steal the child away from its parents." At least two members argued that the amendment would result in children being subjected to unpaid labour (at institutions or farms) tantamount to "slavery". Writing in the 21st century, Professor Peter Read said that Board members, in recording reasons for removal of children, noted simply "For being Aboriginal." But the number of files bearing such a comment appear to be on the order of either one or two, with two others being noted only with "Aboriginal". In 1909, the Protector of Aborigines in South Australia, William Garnet South, reportedly "lobbied for the power to remove Aboriginal children without a court hearing because the courts sometimes refused to accept that the children were neglected or destitute." South argued that "all children of mixed descent should be treated as neglected." His lobbying reportedly played a part in the enactment of the Aborigines Act 1911. This designated his position as the legal guardian of every Aboriginal child in South Australia, not only the so-called "half-castes". I was at the post office with my Mum and Auntie [and cousin]. They put us in the police ute and said they were taking us to Broome. They put the mums in there as well. But when we'd gone [about ten miles (16 km)] they stopped, and threw the mothers out of the car. We jumped on our mothers' backs, crying, trying not to be left behind. But the policemen pulled us off and threw us back in the car. They pushed the mothers away and drove off, while our mothers were chasing the car, running and crying after us. We were screaming in the back of that car. When we got to Broome they put me and my cousin in the Broome lock-up. We were only ten years old. We were in the lock-up for two days waiting for the boat to Perth. The report discovered that removed children were, in most cases, placed into institutional facilities operated by religious or charitable organisations. A significant number, particularly females, were "fostered" out. Children taken to such institutions were trained to be assimilated to Anglo-Australian culture. Policies included punishment for speaking their local indigenous languages. The intention was to educate them for a different future and to prevent their being socialised in Aboriginal cultures. The boys were generally trained as agricultural labourers and the girls as domestic servants; these were the chief occupations of many Europeans at the time in the largely rural areas outside cities. the physical infrastructure of missions, government institutions and children's homes was often very poor and resources were insufficient to improve them or to keep the children adequately clothed, fed and sheltered. The children were taken into care purportedly to protect them from neglect and abuse. However, the report said that, among the 502 inquiry witnesses, 17% of female witnesses and 7.7% of male witnesses reported having suffered a sexual assault while in an institution, at work, or while living with a foster or adoptive family. The stated aim of the "resocialisation" program was to improve the integration of Aboriginal people into modern [European-Australian] society; however, a recent study conducted in Melbourne reported that there was no tangible improvement in the social position of "removed" Aboriginal people as compared to "non-removed". Particularly in the areas of employment and post-secondary education, the removed children had about the same results as those who were not removed. In the early decades of the program, post-secondary education was limited for most Australians, but the removed children lagged behind their white contemporaries as educational opportunities improved. The study indicated that removed Aboriginal people were less likely to have completed a secondary education, three times as likely to have acquired a police record, and were twice as likely to use illicit drugs as were Aboriginal people who grew up in their ethnic community. The only notable advantage "removed" Aboriginal people achieved was a higher average income. The report noted this was likely due to the increased urbanisation of removed individuals, and greater access to welfare payments than for Aboriginal people living in remote communities. There seemed to be little evidence that removed mixed-race Aborigines had been successful in gaining better work even in urbanised areas. I was requested to attend at the Sunshine Welfare Offices, where they formerly (sic) discharged me from State ward ship. It took the Senior Welfare Officer a mere 20 minutes to come clean, and tell me everything that my heart had always wanted to know...that I was of "Aboriginal descent", that I had a Natural mother, father, three brothers and a sister, who were alive...He placed in front of me 368 pages of my file, together with letters, photos and birthday cards. He informed me that my surname would change back to my Mother's maiden name of Angus. I've got everything that could be reasonably expected: a good home environment, education, stuff like that, but that's all material stuff. It's all the non-material stuff that I didn't have — the lineage... You know, you've just come out of nowhere; there you are. In 2015, many of the recommendations of Bringing Them Home were yet to be fulfilled. In 2017, 35% of all children in out-of-home care in Australia identify as being Aboriginal, an increase from 20% in 1997 when Bringing Them Home was published. Historian Professor Peter Read, then at the Australian National University, was the first to use the phrase "stolen generation". He published a magazine article on the topic with this title, based on his research. He expanded the article into a book, The Stolen Generations (1981). Widespread awareness of the Stolen Generations, and the practices which created it, grew in the late 1980s through the efforts of Aboriginal and white activists, artists, and musicians (Archie Roach's "Took the Children Away" and Midnight Oil's "The Dead Heart" being examples of the latter). The Mabo v Queensland (No 2) case (commonly known as the Mabo case) attracted great media and public attention to itself and to all issues related to the government treatment of Aborigines and Torres Strait Islanders in Australia, and most notably the Stolen Generations. In early 1995, Rob Riley, an activist with the Aboriginal Legal Service, published Telling Our Story. It described the large-scale negative effects of past government policies that resulted in the removal of thousands of mixed-race Aboriginal children from their families and their being reared in a variety of conditions in missions, orphanages, reserves, and white foster homes. The Australian Human Rights and Equal Opportunity Commission's National Inquiry into the Separation of Aboriginal and Torres Strait Islander Children from Their Families commenced in May 1995, presided over by the Commission's president Sir Ronald Wilson and its Aboriginal and Torres Strait Islander Social Justice Commissioner Mick Dodson. During the ensuing 17 months, the Inquiry visited every state and Territory in Australia, heard testimony from 535 Aboriginal Australians, and received submissions of evidence from more than 600 more. In April 1997, the Commission released its official Bringing Them Home report. 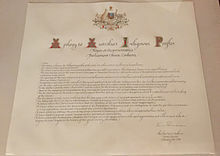 Between the commissioning of the National Inquiry and the release of the final report in 1997, the government of John Howard had replaced the Paul Keating government. At the Australian Reconciliation Convention in May 1997, Howard was quoted as saying: "Australians of this generation should not be required to accept guilt and blame for past actions and policies." Following publication of the report, the parliament of the Northern Territory and the state parliaments of Victoria, South Australia, and New South Wales passed formal apologies to the Aborigines affected. On 26 May 1998, the first "National Sorry Day" was held; reconciliation events were held nationally, and attended by a total of more than one million people. As public pressure continued to increase on the government, Howard drafted a motion of "deep and sincere regret over the removal of Aboriginal children from their parents", which was passed by the federal parliament in August 1999. Howard said that the Stolen Generation represented "the most blemished chapter in the history of this country." that the Commonwealth Government does not support a formal national apology and that it considers inappropriate the provision of monetary compensation for those forcibly and unjustifiably separated from their families, on the grounds that such practices were sanctioned by law at the time and were intended to "assist the people whom they affected". The Committee recommended "that the State party consider the need to address appropriately the extraordinary harm inflicted by these racially discriminatory practices." Activists highlighted the Stolen Generations and related Aboriginal issues during the Sydney 2000 Summer Olympics. They set up a large "Aboriginal Tent City" on the grounds of Sydney University to bring attention to Aboriginal issues in general. Cathy Freeman is an Aboriginal athlete who was chosen to light the Olympic flame and won the gold medal in the 400 metre sprint. In interviews, she said that her own grandmother was a victim of forced removal. The internationally successful rock group Midnight Oil attracted worldwide media interest by performing at the Olympic closing ceremony in black sweatsuits with the word "SORRY" emblazoned across them. Wikimedia Commons has media related to Apology to the Stolen Generations. We reflect in particular on the mistreatment of those who were Stolen Generations—this blemished chapter in our nation's history. —  Kevin Rudd, Prime Minister of Australia, 13 February 2008, at a sitting of the Parliament of Australia. The text of the apology did not refer to compensation to Aboriginal people as a whole, nor to members of the Stolen Generations specifically. Rudd followed the apology with a 20-minute speech to the house about the need for this action. The government's apology and his speech were widely applauded among both Indigenous Australians and the non-indigenous general public. Opposition leader Brendan Nelson also delivered a 20-minute speech. He endorsed the apology but in his speech Nelson referred to the "under-policing" of child welfare in Aboriginal communities, as well as a host of social ills blighting the lives of Aboriginal people. His speech was considered controversial and received mixed reactions. Thousands of people who had gathered in public spaces in around Australia to hear the apology turned their backs on the screens that broadcast Nelson speaking. In Perth, people booed and jeered until the screen was switched off. In Parliament House's Great Hall, elements of the audience began a slow clap, with some finally turning their backs. The apology was unanimously adopted by the House of Representatives, although six members of Nelson's opposition caucus left the House in protest at the apology. Later that day, the Senate considered a motion for an identical apology, which was also passed unanimously. Beforehand, the Leader of the Greens, Senator Bob Brown, attempted to amend the motion to include words committing parliament to offering compensation to those who suffered loss under past indigenous policies, but was opposed by all the other parties. The legal circumstances regarding the Stolen Generations remain unclear. Although some compensation claims are pending, a court cannot rule on behalf of plaintiffs simply because they were removed, because, at the time, such removals were authorised under Australian law. Australian federal and state governments' statute law and associated regulations provided for the removal from their birth families and communities of known mixed-race Aboriginal children, or those who visibly appeared mixed. Compensation claims have been heard by the NSW Supreme Court's Court of Appeal in Williams v The Minister Aboriginal Land Rights Act 1983 and New South Wales  NSWCA 255 and the Australian Federal Court in Cubillo v Commonwealth of Australia  FCA 1084. In Williams, an individual (rather than a group of plaintiffs) made claims in negligence arising from having been placed under the control of the Aborigines Welfare Board pursuant to s 7(2) of the Aborigines Welfare Act 1909 shortly after her birth, and was placed by the Board with the United Aborigines Mission at its Aborigines Children Home at Bomaderry near Nowra, NSW. The trial judge found that there was no duty of care and therefore that an action in negligence could not succeed. [further explanation needed] This was upheld by the NSW Court of Appeal in 2000. In relation to whether the action in NSW courts was limited by the passage of time, the Court of Appeal, reversing Studdert J, extended the limitation period for the non-equitable claims by about three decades pursuant to s 60G of the Limitation Act 1969 (NSW): Williams v Minister, Aboriginal Land Rights Act 1983 (1994) 35 NSWLR 497. The apology is not expected to have any legal effect on claims for compensation. The word "stolen" is used here to refer to the Aboriginal children having been taken away from their families. It has been in use for this since the early 20th century. For instance, Patrick McGarry, a member of the Parliament of New South Wales, objected to the Aborigines Protection Amending Act 1915 which authorised the Aborigines' Protection Board to remove Aboriginal children from their parents without having to establish cause. McGarry described the policy as "steal[ing] the child away from its parents". In 1924, the Adelaide Sun wrote: "The word 'stole' may sound a bit far-fetched but by the time we have told the story of the heart-broken Aboriginal mother we are sure the word will not be considered out of place." In most jurisdictions, Indigenous Australians were put under the authority of a Protector, effectively being made wards of the State. The protection was done through each jurisdiction's Aboriginal Protection Board; in Victoria and Western Australia these boards were also responsible for applying what were known as Half-Caste Acts. More recent usage has developed since Peter Read's publication of The Stolen Generations: The Removal of Aboriginal Children in New South Wales 1883 to 1969 (1981), which examined the history of these government actions. The 1997 publication of the government's Bringing Them Home – Report of the National Inquiry into the Separation of Aboriginal and Torres Strait Islander Children from Their Families heightened awareness of the Stolen Generations. The acceptance of the term in Australia is illustrated by the 2008 formal apology to the Stolen Generations, led by Prime Minister Kevin Rudd and passed by both houses of the Parliament of Australia. Previous apologies had been offered by State and Territory governments in the period 1997–2001. There is some opposition to the concept of the term "Stolen Generations". Former Prime Minister John Howard did not believe the government should apologise to the Australian Aborigines. Then Minister for Aboriginal and Torres Strait Islander Affairs John Herron disputed usage of the term in April 2000. Others who disputed the use of the term include Peter Howson, who was Minister for Aboriginal Affairs from 1971 to 1972, and Keith Windschuttle, an Australian historian who argues that various abuses towards Australian Aborigines have been exaggerated and in some cases invented. Many historians argue against these denials, including to Windschuttle in particular. Anthropologist Ron Brunton also criticised the proceedings on the basis that there was no cross-examination of those giving their testimonies or critical examination of the factual basis of the testimony. The Bringing Them Home report provided extensive details about the removal programs and their effects. Sir Ronald Wilson, former President of the Human Rights and Equal Opportunities Commission and a Commissioner on the Inquiry, stated that "when it comes to the credibility of those stories, there is ample credibility, not from the cross-examination of the children themselves, but from the governments whose laws, practices and policies enabled these forced removals to take place. We had the support of every State government; they came to the Inquiry, came with lever-arch files setting out the laws from the earliest days right up to the end of the assimilation policy, that is up to the 1970s and more importantly, senior government offices attended. In every case, these senior officers acknowledged that there was a lot of cruelty in the application of those laws and policies." In April 2000, Aboriginal Affairs Minister John Herron tabled a report in the Australian Parliament in response to the Human Rights Commission report which stated that, as "only 10% of Aboriginal children" had been removed, they did not constitute an entire "generation". The report attracted media attention and protests. Herron apologised for the "understandable offence taken by some people" as a result of his comments, although he refused to alter the report as it had been tabled. Historian Peter Read referred to the children affected as the "Stolen Generations". Another historian, Robert Manne, defended that terminology, making the analogy that other people refer to the "generation that lost their lives in the First World War" without meaning over 50 per cent of the young people at the time; rather, people use that phrasing as a metaphor for a collective experience. Similarly, he believes, some of the Aboriginal community use the term to describe their collective suffering. The Australian practice of Indigenous child removal involved both systematic racial discrimination and genocide as defined by international law. Yet it continued to be practised as official policy long after being clearly prohibited by treaties to which Australia had voluntarily subscribed. However, in the subsequent case of Kruger v Commonwealth, the High Court judges rejected the claim of the plaintiffs that the Aboriginals Ordinance 1918 authorised genocide as defined by the Convention and ruled that there was no legislation to implement the Convention under Australian municipal law at the time. One of the recommendations of the Bringing Them Home report was that 'the Commonwealth legislate to implement the Genocide Convention with full domestic effect'. While genocide has been a crime under international law since the commencement of the Convention in 1951, in accordance with Section 51(xxix) of the Australian Constitution, it has only been a crime under Australian law since the commencement of the International Criminal Court (Consequential Amendments) Act 2002, and so the Stolen Generations cannot be considered genocide under Australian law because the Act is not retrospective. In its twelfth report to the UN Committee on the Elimination of Racial Discrimination, the Australian Government argued that the removal policies and programs did not constitute a breach of the Convention. Sir Ronald Wilson, then President of the Australian Human Rights and Equal Opportunity Commission, commissioner of the National Inquiry into the Separation of Aboriginal and Torres Strait Islander Children from Their Families, and co-author of the Bringing Them Home report, argued that the policies resulting in the Stolen Generations constitute attempted genocide by the government, as it was widely believed at the time that the Aborigines would die out. Manne argues that the expressed views of government bureaucrats, such as A. O. Neville, to assimilate the mixed-race children into the white population by means of "breeding out the colour", and therefore eventually resulting in the full-bloods being "forgotten", bore strong similarities to the racial views of the Nazis in 1930s Nazi Germany. Manne points out that, though the term "genocide" had not yet entered the English language, the policies of Neville and others were termed by some contemporaries as the "die out" or "breed out" policy, giving an indication of their proposed intent. He also states that academics "generally acknowledge" that the authors of the Bringing Them Home report were wrong to argue that Australian authorities had committed genocide by removing indigenous children from their families. Social assimilation has never been regarded in law as equivalent to genocide. Though historian Paul Bartrop rejects the use of the word genocide to describe Australian colonial history in general, he does believe that it applies to describing the Stolen Generations. Bartrop and US scholar Samuel Totten together wrote the Dictionary of Genocide, for which Bartrop wrote the entry on Australia. He said he used as the benchmark for usage of the term genocide the 1948 UN Convention on the Prevention and Punishment of the Crime of Genocide, which is also cited in the Bringing Them Home report. Historian Inga Clendinnen suggests that the term genocide rests on the "question of intentionality", saying: "There's not much doubt, with great murderous performances that were typically called genocide, that they were deliberate and intentional. Beyond that, it always gets very murky." The documentary Lousy Little Sixpence (1983) was the first film to deal with the Stolen Generations. Directed and produced by Alec Morgan, it won several international and Australian awards. The Australian Broadcasting Corporation did not air it for two years. The film is now standard fare in educational institutions, and has been highly influential. The documentary film Kanyini (2006), directed by Melanie Hogan, featured Bob Randall. He is an elder of the Yankunytjatjara people and one of the listed traditional owners of Uluru. He was taken away from his mother as a child, living at the government reservation until he was 20, and working at various jobs, including as a carpenter, stockman, and crocodile hunter. He helped establish the Adelaide Community College and has lectured on Aboriginal cultures. He served as the director of the Northern Australia Legal Aid Service and established Aboriginal and Torres Strait Islander centres at the Australian National University, University of Canberra, and University of Wollongong. Episode 5, "Unhealthy Government Experiment", of the 1998 SBS documentary television series First Australians concerns the Stolen Generations in Western Australia. The Australian film Rabbit-Proof Fence (2002), directed by Phillip Noyce, was based on the book Follow the Rabbit-Proof Fence by Doris Pilkington Garimara. It concerns the author's mother and two other mixed-race Aboriginal girls who ran away from Moore River Native Settlement, north of Perth, and returned to their Aboriginal families. In a subsequent interview with the ABC, Doris recalled her removal in 1931 from her mother at age three or four, and subsequent rearing at the settlement. She was not reunited with her mother until she was 25; all those years, she believed that her mother had given her away. When the two women were reunited, Doris was no longer able to speak her native language and had been taught to regard Indigenous culture as evil. Baz Luhrmann's 2008 film Australia, starring Nicole Kidman and Hugh Jackman, deals with the Stolen Generations. Stolen (1998) is a play by Australian playwright Jane Harrison. It tells the story of five fictional Aboriginal people by the names of Sandy, Ruby, Jimmy, Anne, and Shirley who dealt with the issues for forceful removal by Australian governments. Sandy has spent his entire life on the run, never having a set home to live in. Stolen tracks his quest for a place to be, a place where he does not have keep hiding from the government (even though they are no longer after him), and a place he can call home. Ruby was forced to work as a domestic servant from a young age and was sent insane by the constant pressure forced upon her by her white masters. She spends a lot of her time mumbling to herself, whilst her family desperately tries to help her. Jimmy was separated from his mother at a very young age, and she spent her entire life looking for him. He spent a lot of time in prison and, on the day he finally got out, he was told about his mother's search. As he went to meet her, she died, and he committed suicide in anger. Anne was removed from her family and placed in a Caucasian family's home. She was materially happy in this home, a lot happier than many of the other characters, but when her indigenous family tried to meet her, she was caught in crossfire between her two "families". Shirley was removed from her parents and had her children removed from her. She only felt relief, safety, and comfort when her granddaughter was born and not removed. The indigenous opera Pecan Summer (2010) by Deborah Cheetham, which premiered in Mooroopna, is set at Federation Square, in Melbourne, on the day of Kevin Rudd's apology, and quotes some of his words. Bryce Courtenay's novel Jessica tells of a case brought in a New South Wales court against the Aboriginal Protection Board. It challenged the Aboriginal Protection Act of 1909 in order to return two children from Cootamundra Domestic Training Home for Aboriginal Girls to the Aboriginal mother. Aboriginal artist and author Sally Morgan has written several novels based on the lives of her and her family members, featuring intimate portrayals of the impact of forced removal on individuals, their families, and communities, although Sally herself was not a stolen child. Her first, My Place, involves her quest to uncover her Aboriginal heritage which had previously been denied by her family, who insisted "as a survival mechanism" that they were of Indian extraction. My Place (Fremantle: Fremantle Arts Centre Press; first published 1987). ISBN 1-86368-278-3. Sally's Story (Fremantle: Fremantle Arts Centre Press, 1990), edited by Barbara Ker Wilson (My Place for young readers, part 1. For children). ISBN 0-949206-78-4. Arthur Corunna's story (Narkaling Productions, 1995), edited by Barbara Ker Wilson (My Place for young readers, part 2. For children). ISBN 0-949206-77-6. Mother and daughter: The Story of Daisy and Glady's Corunna (Narkaling Productions, 1994), edited by Barbara Ker Wilson (My Place for young readers, part 3. For children). ISBN 0-949206-79-2. Wanamurraganya: The Story of Jack McPhee (Narkaling Productions, 1990). ISBN 0-949206-99-7. Benang is Indigenous Australian Kim Scott's second novel. Benang is about forced assimilation and finding how one can return to one's own culture. The novel presents how difficult it is to form a working history of a population who had been historically uprooted from its past. Benang follows Harley, a young man who has gone through the process of "breeding out the colour", as he pieces together his family history through documentation, such as photograph and his grandfather's notes, as well as memories and experiences. Harley and his family have undergone a process of colonial scientific experimentation called "breeding of the colour", which separated individuals from their indigenous families and origins. Lorna Fejo, the Warumungu woman named by Kevin Rudd, in his historic Apology to the Stolen Generations, on 13 February 2008. Sue Gordon, retired Perth Children's Court magistrate. During the same period from the 1930s to 1982, 250,000 Australian-born non-Indigenous children were also removed from parents who were deemed "unfit". At the time this was widely seen as a positive thing by society for both the mothers and the children. The term white stolen generations is now used to distinguish this group from the Indigenous stolen generations. The mothers were sometimes drugged, tied to beds, or told their babies had died. Many hospitals engaged in what is now known as institutionalised baby farming, these babies were often adopted into middle class families. Organisations such as the Apology Alliance and Adoption Loss Adult Support have actively campaigned for a parliamentary apology similar to that given for the Aboriginal Stolen Generations. In 2001, then treasurer of NSW Michael Egan made a statement of public acknowledgement in the NSW Parliament. In October 2010, West Australian Premier Colin Barnett delivered a parliamentary apology on behalf of state institutions involved in the aggressive adoption practices. Prime Minister Julia Gillard made a personal public apology. Moseley Royal Commission (1934), officially "the Royal Commission Appointed to Investigate, Report and Advise Upon Matters in Relation to the Condition and Treatment of Aborigines"
^ "Indigenous Australia: Family Life". Australian Museum. 2004. Archived from the original on 5 February 2008. Retrieved 28 March 2008. ^ a b c Read, Peter (2006) . The Stolen Generations: The Removal of Aboriginal Children in New South Wales 1883 to 1969 (PDF). Surry Hills, N.S.W: New South Wales Department of Aboriginal Affairs. ISBN 978-0-646-46221-9. Archived from the original (PDF) on 20 August 2006. ^ "Bringing Them Home: Part 2: 4 Victoria". Human Rights and Equal Opportunity Commission. 1997. Retrieved 25 November 2016 – via AustLII: In its submission to the Bringing Them Home report, the Victorian government stated that "despite the apparent recognition in government reports that the interests of Indigenous children were best served by keeping them in their own communities, the number of Aboriginal children forcibly removed continued to increase, rising from 220 in 1973 to 350 in 1976." ^ Lewis, Wendy; Simon Balderstone; John Bowan (2006). Events That Shaped Australia. New Holland. p. 130. ISBN 978-1-74110-492-9. ^ "4704.0 - The Health and Welfare of Australia's Aboriginal and Torres Strait Islander Peoples, Oct 2010 (final)". abs.gov.au. 17 February 2011. Retrieved 24 November 2016. ^ "Aboriginal and Torres Strait Islander population". www.abs.gov.au. Australian Bureau of Statistics. 2002-01-25. Retrieved 30 May 2018. ^ Neville, AO (1930). West Australian, 18 April. ^ a b Western Australia State Archives, 993/423/38, "Absorption of Half Castes into the White Population". ^ Russell McGregor, Imagined Destinies. Aboriginal Australians and the Doomed Race Theory, 1900–1972, Melbourne: MUP, 1997. ^ a b Anderson, Warwick (2003). The Cultivation of Whiteness: Science, health and racial destiny in Australia (1st ed.). New York: Basic Books. ISBN 978-0-46-500305-1. ^ a b c "The History: Northern Territory" (PDF). Sydney, Australia: Human Rights and Equal Opportunity Commission. December 2007. Archived from the original (PDF) on 26 February 2008. ^ M.F. Christie, Aboriginal People in Colonial Victoria, 1835–86, pp. 175–176. ^ a b "Human Rights and Equal Opportunity Commission: Bringing them Home: Appendices". 1997. Retrieved 25 November 2016 – via AustLII. ^ Tim Richardson on The Stolen Generations: Robert Manne Archived 24 July 2011 at the Wayback Machine. ^ J. Franklin (2016). "Catholic missions to aboriginal Australia: an evaluation of their overall effect" (PDF). Journal of the Australian Catholic Historical Society. Retrieved 1 December 2016. ^ a b Flood, Josephine (2006). The Original Australians: Story of the Aboriginal People. Crows Nest, NSW: Allen & Unwin. ISBN 978-1-74114-872-5. ^ "Bringing them Home | Part 2: Tracing the History | Chapter 2: National Overview". Sydney: Australian Human Rights Commission. 1997. Archived from the original on 7 March 2018. ^ a b c Human Rights and Equal Opportunity Commission (1997). "Indigenous Law Resources: Bringing them Home: Part 1: Scope of the Inquiry". Australasian Legal Information Institute. Retrieved 25 November 2016. ^ "Human Rights and Equal Opportunity Commission: Bringing them Home: Part 2: Tracing the History". 1997. Retrieved 25 November 2016 – via AustLII. ^ "Human Rights and Equal Opportunity Commission: Bringing Them Home: Part 2: 7 Western Australia". 1997. Retrieved 25 November 2016 – via AustLII. ^ "The Acts of the Parliament of Western Australia: Aborigines Act of 1905". National Library of Australia. 23 December 1905. Retrieved 25 November 2016. ^ a b c "Human Rights and Equal Opportunity Commission: Bringing them Home: Part 2: 3 New South Wales and the ACT". 1997. Retrieved 25 November 2016 – via AustLII. ^ Read, Peter (18 February 2008). "Don't let facts spoil this historian's campaign". The Australian. Archived from the original on 18 February 2008. Retrieved 18 February 2008. ^ a b "Human Rights and Equal Opportunity Commission: Bringing them Home: Part 2: 8 South Australia". 1997. Retrieved 25 November 2016 – via AustLII. ^ a b "Human Rights and Equal Opportunity Commission: Bringing them Home: Part 3: 10 Childrens Experiences". 1997. Retrieved 25 November 2016 – via AustLII. ^ Bates, Daisy (1938). The Passing of the Aborigines: A Lifetime Spent among the Natives of Australia. Project Gutenberg of Australia. Half-castes came among them, a being neither black nor white, whom they detested [...] I did what I set out to do—to make their passing easier and to keep the dreaded half-caste menace from our great continent. ^ a b c Bereson, Itiel (1989). Decades of Change: Australia in the Twentieth Century. Richmond, Victoria: Heinemann Educational Australia. ISBN 978-0-85859-483-8. ^ Confidential submission 133, Victoria. ^ Rule, John; Rice, Elizabeth (28 February 2015). Bringing them home: Scorecard Report 2015 (PDF) (Report). Canberra: National Sorry Day Committee Inc. Retrieved 25 November 2015. ^ Sarra, Chris (23 May 2017). Too many Indigenous children are taken from their families – it doesn't have to happen. The Guardian (Report). Canberra. Retrieved 13 July 2017. ^ "Publications". Archived from the original on 16 February 2008. ^ Howard, John (27 May 1997). "Opening Ceremony Speeches: ... The Prime Minister, Australian Reconciliation Convention". ^ "No stolen generation: Australian Govt". The 7.30 Report (ABC). 3 April 2000. Archived from the original on 7 September 2016. Retrieved 24 November 2016. ^ Zuel, Bernard (4 December 2002). "The sun sets on Midnight Oil". The Age. Archived from the original on 20 December 2002. Retrieved 24 November 2016. ^ Knightley, Phillip (2001). Australia: A Biography of a Nation. Vintage. p. 113. ISBN 978-0-09-977291-0. ^ Lo, Ping (12 February 2008). "The words Rudd will use to say 'sorry'". abc.net.au. Retrieved 24 November 2016. ^ Welch, Dylan (13 February 2008). "Kevin Rudd says sorry". The Sydney Morning Herald. Archived from the original on 27 February 2010. ^ "Video: Watch Kevin Rudd's full apology". Retrieved 14 February 2008. ^ "Full text of Kevin Rudd's speech". News Limited. 13 February 2008. Archived from the original on 17 February 2008. Retrieved 14 February 2008. ^ "Thunderous applause in Sydney for Rudd's speech", Australian Associated Press, The Sydney Morning Herald, 13 February 2008. ^ McKenny, Leesha, "Speech gets standing ovation in Redfern", The Sydney Morning Herald, 13 February 2008. ^ a b "Fury over Nelson's 'sorry' response". The Age. 13 February 2008. Retrieved 12 April 2012. ^ "Senate: Official Hansard, No. 1, 2008" (PDF). Parliament of Australia, Hansard. 13 February 2008. Archived from the original (PDF) on 16 February 2012. ^ Crawshaw, David (13 February 2008). "Brown defeated in 'sorry' compo bid". news.com.au. Archived from the original on 16 December 2008. ^ "Aborigines Protection Act 1909 - Summary | Find & Connect". www.findandconnect.gov.au. Retrieved 2019-03-18. ^ "Apology will not legally impact compo claims: Law Society". ABC News. 13 February 2008. Archived from the original on 2 March 2008. ^ The Haebich interview gives the year as 1923, but see Foster, Robert. "'endless trouble and agitation': Aboriginal agitation in the protectionist era," Journal of the Historical Society of South Australia, 2000;28:15–27. ^ Interview with Dr Anna Haebich, "The Stolen Generation," Ockham's Razor, ABC Radio National, broadcast Sunday 6 January 2002. Retrieved 10 August 2012. Haebich is author of Broken Circles, Fragmenting Indigenous Families 1800–2000, Fremantle: Fremantle Arts Centre Press ISBN 1-86368-305-4. ^ Foster, Robert (2000). "'endless trouble and agitation': Aboriginal activism in the protectionist era" (PDF). Journal of the Historical Society of South Australia. pp. 15–27. Retrieved 25 November 2016: refers to the clipping on this case as Endnote 81: The Sun, 16 April 1924; Register 9 April 1924; Sport's Newsclipping Books GRG 52/90 SRSA (State Records of South Australia). ^ "Timeline of Legislation Affecting Aboriginal People" (PDF). Government of South Australia, Aboriginal Education and Employment Services. Archived from the original (PDF) on 25 February 2004. ^ "Documenting a Democracy: Aboriginal Protection Act 1869 (Vic)". National Archives of Australia. Archived from the original on 4 July 2009. Retrieved 25 April 2010: In Victoria, for example, "The (Aboriginal Protection) Act gave powers to the Board for the Protection of Aborigines which subsequently developed into an extraordinary level of control of people's lives including regulation of residence, employment, marriage, social life and other aspects of daily life." ^ "Bringing them home: The 'Stolen Children' report". Human Rights and Equal Opportunity Commission. 2005. Archived from the original on 5 September 2007. Retrieved 8 October 2006. ^ Welch, Dylan (13 February 2008), "Kevin Rudd says sorry", The Sydney Morning Herald. ^ "Content of apologies by State and Territory Parliaments". Australian Human Rights Commission. 2012-12-14. Retrieved 25 November 2016. ^ a b "Senator the Hon John Herron, Minister for Aboriginal and Torres Strait Islander Affairs to the Senate Legal And Constitutional References Committee, 'Inquiry Into The Stolen Generation', Federal Government Submission". australianpolitics.com/. March 2000. Archived from the original (DOC) on 22 May 2005. ^ Windschuttle, Keith (2002). The Fabrication of Aboriginal History: The stolen generations, 1881-2008. Macleay Press. p. 17. ISBN 978-1-876492-19-9. ^ Disputing the appropriateness of the term: Windschuttle, Keith (9 February 2008). "Don't let facts spoil the day". The Australian. Archived from the original on 11 February 2008. Retrieved 13 February 2008. argues that the removals were done for the children's good and that Peter Read in Read, Peter (1981). The Stolen Generations: The Removal of Aboriginal children in New South Wales 1883 to 1969. Department of Aboriginal Affairs (New South Wales government). ISBN 978-0-646-46221-9. misrepresented the evidence. ^ Dr Naomi Parry, Debunking Windschuttle's benign interpretation of history, Crikey, 12 February 2008, also Peter Read addresses Windschuttle's article of 9 February 2008 in Read, Peter (18 February 2008). "Don't let facts spoil this historian's campaign". The Australian. Archived from the original on 18 February 2008. Retrieved 18 February 2008. , and Manne, Robert (18 February 2008). "The cruelty of denial". The Age. Retrieved 18 February 2008. ^ a b "Stolen Generations, Background Briefing". ABC Radio National. 2 July 2000. Archived from the original on 24 February 2011. Retrieved 19 February 2008. ^ "No stolen generation: Australian Govt" Archived 19 November 2001 at the Wayback Machine, The 7.30 Report, ABC TV, 3 April 2000. Retrieved 19 February 2008. ^ "Academics debate contents of Stolen Generations report" Archived 22 June 2017 at the Wayback Machine, The 7.30 Report, 29 March 2001. Retrieved 29 November 2011. ^ Barta, Tony (2008). "Sorry, and not sorry, in Australia: how the apology to the stolen generations buried a history of genocide". Journal of Genocide Research. 10 (2): 201–214. doi:10.1080/14623520802065438. ^ Cassidy, Julie. "Unhelpful and inappropriate? : The question of genocide and the stolen generations" (PDF). (2009) 13(1), Australian Indigenous Law Review 114. Retrieved 22 January 2018. ^ Windschuttle, Keith (1 January 2010). "Why There Were No Stolen Generations". Quadrant. Retrieved 22 January 2018. ^ Elliott Frank Johnston (1991). "36.3 Convention on the Prevention and Punishment of the Crime of Genocide". Royal Commission into Aboriginal Deaths in Custody National Report (Report). 5. Retrieved 22 January 2018 – via AustLII. ^ "Aboriginals Ordinance 1918". Act No. 9 of 1918. Retrieved 22 January 2018. ^ "International Criminal Court (Consequential Amendments) Act 2002". Act No. 42 of 27 June 2002. Retrieved 22 January 2018. ^ Scott, Shirley (2004). "Why wasn't genocide a crime in Australia? Accounting for the half century delay in Australia implementing the Genocide Convention". Australian Journal of Human Rights. 10 (1): 159–178. doi:10.1080/1323238X.2004.11910775. ^ Australian Government (14 December 1999). Twelfth periodic reports of States parties due in 1998 (Report). United Nations. pp. 24–25. Retrieved 22 January 2018. ^ Perry, Michael (20 May 1997). "A Stolen Generation Cries Out". Hartford Web Publishing. Reuters. Retrieved 24 November 2016. ^ a b c Manne, Robert (March 2008). "Sorry Business: The Road to the Apology". themonthly.com.au. Retrieved 24 November 2016. ^ a b Sorensen, Rosemary; Wilson, Ashleigh (24 March 2008). "Stolen Generations listed as genocide". The Australian. Archived from the original on 26 March 2008. Retrieved 24 March 2008. ^ Thompson, Peter (27 August 2006). "Film review: Kanyini". Sunday Nine MSN. Archived from the original on 4 September 2006. Retrieved 25 April 2010. ^ Molitorisz, Sacha (6 September 2006). "Film reviews: Kanyini: Film review". The Sydney Morning Herald. Archived from the original on 7 November 2012. Retrieved 24 November 2016. ^ "Doris Pilkington". abc.net.au. 24 December 2002. Archived from the original on 10 March 2007. ^ Clarke, Jenna (8 September 2012). "Pecan Summer's ray of sunshine through song". Sydney Morning Herald. Retrieved 23 October 2015. ^ a b Liz Hannan, Liz (8 December 2010), "White mothers of stolen children also deserve an apology", The Sydney Morning Herald. ^ a b Calligeros, Marissa (24 December 2010), "'Your son is gone. He's with his adoptive parents'", Brisbane Times. ^ a b "Governor-General's Speech : Address in Reply : Senator Andrew Murray" (PDF). Parliament House – Canberra. 12 March 2008. Archived from the original (PDF) on 22 May 2013. Retrieved 12 March 2008. Buti, Tony. "The systematic removal of indigenous children from their families in Australia and Canada: the history – similarities and differences" (PDF). New South Wales: University of Newcastle. Archived from the original (PDF) on 18 March 2009. Delmege, Sharon. "A Trans-Generational Effect of The Aborigines Act 1905 (WA): The Making of the Fringedwellers in the South-West of Western Australia". E Law: Murdoch University Electronic Journal of Law. 12 (1 & 2). van Krieken, Robert. "The stolen generations: implications for Australian civilization, citizenship and governance". University of Sydney (Australia). Archived from the original on 16 December 2008. Research project. Larbalestier, Jen (2004). "White Over Black: Discourses of Whiteness in Australian Culture". Borderlands e-Journal. 3 (2). Focuses on debates about representing Australia's colonial history, specifically in regard to child removal. "The agony of Australia's Stolen Generation". BBC News. 9 August 2007. Bolt, Andrew (8 September 2006). "Robert Manne's list | Opinion". Herald Sun. Melbourne, Australia. Archived from the original on 19 May 2008. McMahon, Barbara (13 January 2008). "Australia's 'stolen' children get apology but no cash". The Guardian. Neubauer, Ian Lloyd (10 March 2014). "Australian Child Protection Accused of Repeating Sins of 'Stolen Generations'". Time. Summers, Anne (12 January 2008). "A sorry way to right a terrible wrong | Opinion". The Sydney Morning Herald. "WA's Black Chapter". ABC Radio National. 23 June 1996. Archived from the original on 16 December 2008.